We are specialists in IT Business systems, providing IT Solutions to Small Businesses & Individuals. IT RESCUE can provide our clients with technical support, configuration of hardware, site configuration and setup, in your office or home office environments. We supply, install and maintain networked systems both wired and wireless. We are your external IT Management team. 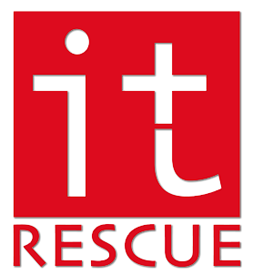 IT RESCUE offer comprehensive backup solutions, onsite or offsite. Our team supports both PCs and Macs. Our objective is to ensure that your systems are virus free & spam free, fully backed up, networked and all supported by fast response times. Contact us today for your FREE IT Systems Audit.